A tough-tackling defender who can operate at a right full or on the right side of a back three, the towering Bosnian has been a Seaford stalwart for more than a decade, and remains a hugely popular character off the pitch. He is noted for his physical strength, reliability in possession and his utter dedication to the cause – but not so much for his goalscoring. It took him seven years to open his account for the club, with a calmly taken finish against Liffey Valley Wanderers prompting extravagant celebrations from the entire team unbefitting of a final-day dead rubber. Equally memorable was his last-gasp equaliser to seal a point against Beechwood the following season, and spectacular bullet header against Glasnevin in 2015. ​Amer was named Second Team Player of the Year in 2006/07 and, having been ruled out of a starting berth with a minor injury, was a late substitute as the second team won the Arthur Lynch Cup in 2014. 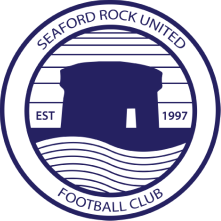 Late in his Seaford career, he adopted a new position on the pitch, anchoring the midfield for the seconds as they enjoyed a superb run towards the end of the 2017/18 season.